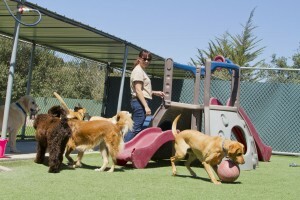 Wanting some tips on how to develop the perfect backyard for your beloved dog? 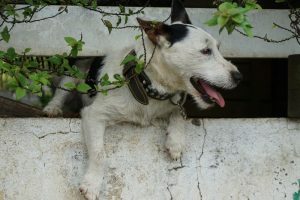 We take a look at what you can do to ensure your dog is living in a wonderfully enriched environment, while keeping them safe and secure. For many dogs, the humble backyard is the place they spend much of their days, hail rain or shine. Some will pass the time barking, others sleep while some will simply do anything – including herding washing and digging holes – to find some sort of entertainment. 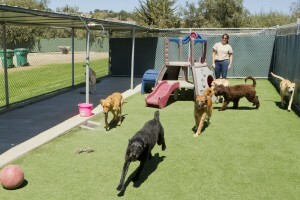 So how can you enrich your dog’s environment and create the backyard of his dreams? With a little creativity and time, you can develop the perfect space to keep your hound happy and safe, while also protecting your beloved plants and veggies. First, it is vital you have a good strong dog proof fence around your backyard. Having this fence durable and sturdy is a must, as too is ensuring that it is completely covered. In other words, solid wood and no chain fencing. Dogs that can see through a fence (even a small crack) are much more likely to bark at stimuli on the other side. Another good tip is to plant hedges or boxer plants alongside the fence. This can stop a dog from pacing and will also deter digging under the fence and attempts to jump over it. If you do have a digger and you are starting with a blank fencing canvas; consider pouring concrete under the fence line to prevent your dog from digging. If you have garden beds around your fences and you would like to keep your dog off this area having a clear ‘no dog’ boundary is a good plan. You can get really creative here and even consider putting in pretty wooden posts joined with some decorative boat rope to signal ‘keep off’ to your dog. 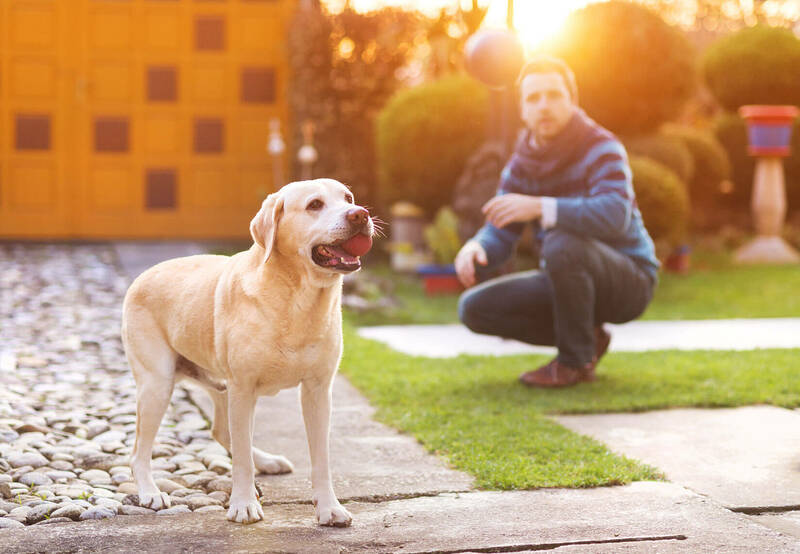 Once you imply a little basic dog training, you can teach your dog to stay out of this area in your backyard. More information on preventing your dog from digging found here. HOT TIP: If you are considering adding some vegetable gardens, think about raising the beds and planting in boxes. Not only is this great for your back, it will also help keep your pup away from your precious prized pumpkins! Consider making an backyard area just for your dog. You can build a small sandpit so that you can encourage your dog to dig in this area. Add a few treats into the sand to get them started. Just remember to use sand, not soil. If you encourage your dog to dig in soil they may mistakenly take to your garden beds! In this area also consider adding some tug-o-war dog toys that you hang from trees or posts, and ensure there is ample shade. Plus; when it is bone time or treat time, you can put this in their special spot in the garden. Water and weatherproof bedding can also be placed in this area, and don’t forget a little bench for you to sit and enjoy a cuppa while you watch your dog at play. HOT TIP: Most dogs love to watch birds. Encourage birds into your trees with bird feeders just remember to keep them a safe distance from your dog’s area. Your backyard should also have ample shade. Plant large trees or consider putting up sun-sails during the warmer months. Your dog will also need a place they can retreat to if you are not at home when the weather turns bad. Consider building an attractive dog kennel that you can incorporate into your space. Some DIY enthusiasts have even converted kid’s playhouses into spectacular doggy retreats. Some dogs will need to be encouraged to use their dog kennel, think treats and positive experiences. Remember to also place drinking bowls in this shaded area. HOT TIP: Get creative with water bowls, consider using a striking terracotta plant pot…just remember to plug the hole at the bottom before filling. Wash and scrub weekly to remove any scum build-up or mould.